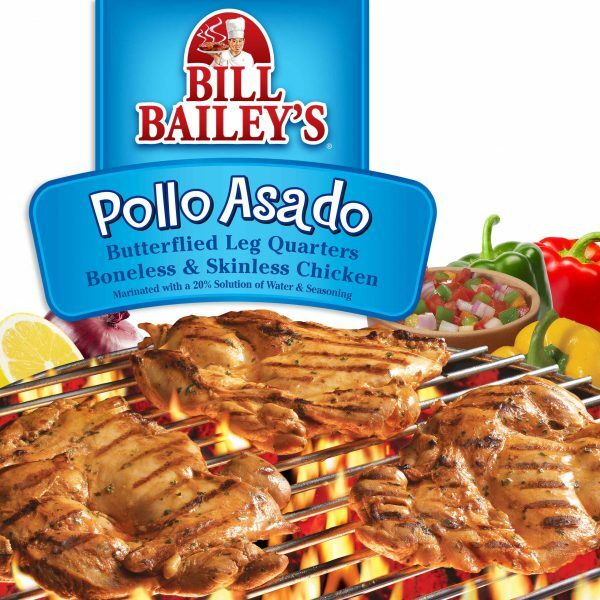 Our seasoned, trimmed and boneless USDA Chicken makes any dish easier. Grill or broil in just minutes and then slice, cube or shred for a variety of delicious dishes from Fajitas to Burritos. Butterflied Chicken Leg Quarters, Water, with less than 2% of the following: Dehydrated Onion, Garlic Powder, Chili Pepper, Spice, Natural Flavors, Sugar, Salt, Corn Syrup Solids, Citric Acid, Autolyzed Yeast Extract, Sodium Phosphate, Potassium Lactate. Keep refrigerated or frozen. Thaw in refrigerator or microwave. © 2019 Square-H Brands Inc.